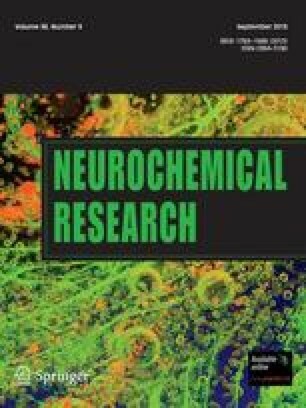 A single dose of diisopropyl phosphorofluoridate (DFP), an organophosphorus ester, produces delayed neurotoxicity (OPIDN) in hen. DFP produces mild ataxia in hens in 7–14 days, which develops into severe ataxia or paralysis as the disease progresses. Since, OPIDN is associated with alteration in the expression of several proteins (e.g., Ca2+/calmodulin-dependent protein kinase II (CaM kinase II) α-subunit, tau, tubulin, neurofilament (NF) protein, vimentin, GFAP) as well as their mRNAs (e.g., NF, CaM kinase II α-subunit), we determined the effect of a single dose of DFP on the expression of one of the best known immediate-early gene (IEG), c-fos. C-fos expression was measured by Northern hybridization in cerebrum, cerebellum, brainstem, midbrain, spinal cord, and the sciatic nerves of hens at 0.5 hr, 1 hr, 2 hr, 1 day, 5 days, 10 days, and 20 days after a single 1.7 mg/kg, sc. injection of DFP. All the tissues (cerebrum, 52%; cerebellum, 55%; brainstem, 49%; midbrain, 23%; spinal cord, 80%; sciatic nerve, 157%;) showed significant increase in c-fos expression in 30 min and this elevated level persisted at least up to 2 hr. Expressions of β-actin mRNA and 18S RNA were used as internal controls. The significant increase in c-fos expression in DFP-treated hens suggests that c-fos may be one of the IEGs involved in the development of OPIDN.